As students grow and learn in their college experience, challenges may arise requiring the need to reflect or gather with friends for support in a space on campus. In 1996, then-Dean James Barker and Clemson alumnus Ward Buzzell came together and discussed the idea of filling this need in Clemson with an on-campus nondenominational chapel. Ten years later, this discussion became more than just an idea. Moved by the deaths of seven students in 2007, then-Student Body President Josh Bell adopted the idea and expanded the purpose of the chapel to act as a tribute to all Clemson students who passed away before their intended graduation date. Through his efforts, more than $175,000 was raised and garnered a remarkable amount of student and community support. In recent years, a thirty-five-member student committee has continued the efforts to raise money and build a student chapel. The Class of 2011 donated over $20,000 as part of their Class Project and an independent, student-led Creative Inquiry has identified and named over 600 students whose names are set to be engraved to honor their time at Clemson, once the chapel is constructed. On June 15, 2016, Clemson University announced that Ken and Mary Cadden committed a gift of $1.5 million to celebrate the life of their son, Samuel J. Cadden (Sam), for which the chapel will be named. As a Clemson Tiger, Sam was a rising junior in financial management, who served on the Finance Council of St. Andrew's Catholic Church in Clemson, worked at M.H. Frank in downtown Clemson and had internships with both United States Senator Lindsey Graham of South Carolina and the Terminus Group at Morgan Stanley out of Atlanta, Ga. He was also a member of the Knights of Columbus and Sigma Chi Fraternity. Known as a connector, a competitor, a storyteller and a friend of all, Sam was a special member of the Clemson Family, and had also written a list of 31 goals to accomplish in his lifetime. One of those goals was to give back to his Alma Mater through a gift to name a building. The Cadden's gift will help fulfill Sam's goal, and the chapel it will help build will become a special place to celebrate Sam and more of our fellow Tigers who were gone too soon. 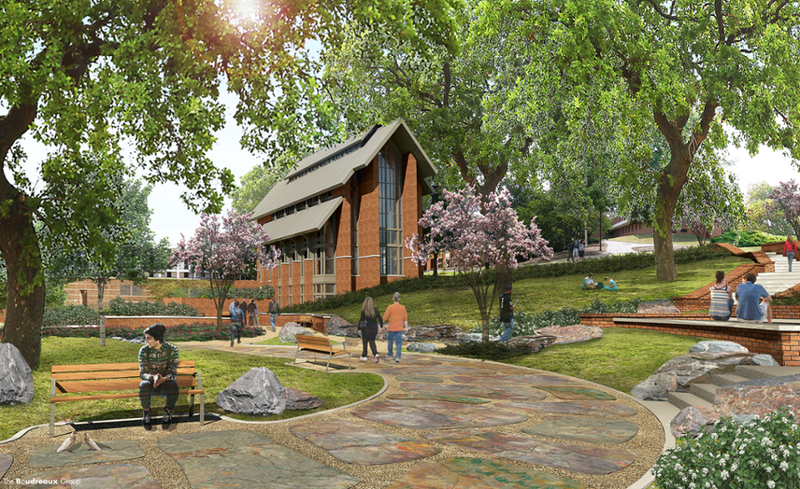 The Samuel J. Cadden Chapel will be a welcoming place for students of all beliefs, or those with no particular belief, to use for meditation and reflection. 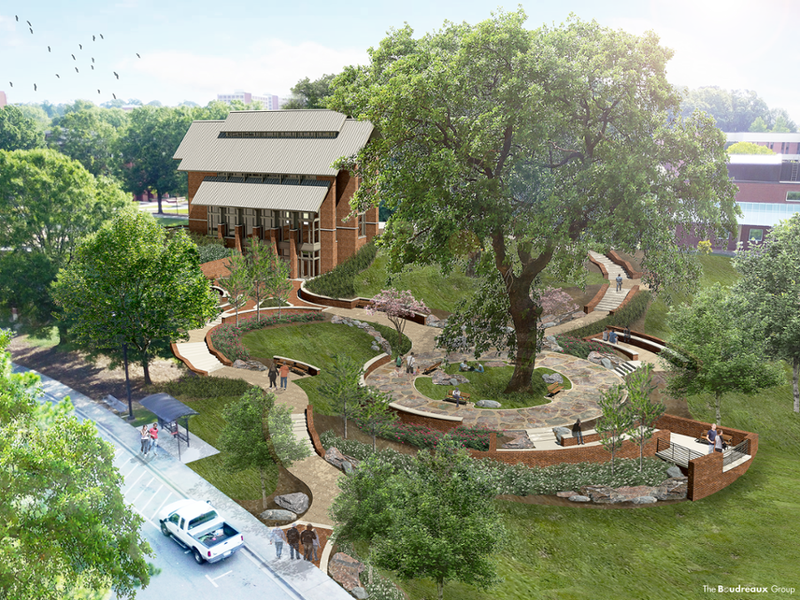 It will give students a space of quiet escape as well as place on campus for weddings, funerals and other special events. It will seat 125–150 people and will be located near the Brooks Center, the Strom Thurmond Institute and the Watt Family Innovation Center. The Samuel J. Cadden Chapel is sure to impact many lives in the Clemson Family for generations to come. If you would like to give or learn more about the Samuel J. Cadden Chapel, please contact Senior Director for Development, Brandy Page at page5@clemson.edu.